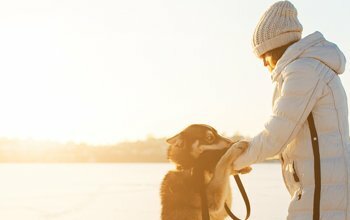 In the past we have discussed what to do if someone else’s dog has bitten you. This time lets talk about how to reduce the chances that your dog will attack another person or animal. After all, no one wants to have legal problems due to their dog biting someone or something else! Get your dog spayed or neutered! This seems like a no-brainer, but truth be told many people don’t realize you can reduce your dog’s likelihood of being aggressive by 3-4x. Listen to yourself and err on the side of caution. If you’re not sure how your dog will react in a situation you will be in, leave them at home instead of gambling on an uncertainty. Socializing your dog is one of the best steps you can take to ensure the dog responds appropriately to everyone and everything it encounters. The more exposure a puppy gets to new scenarios, new environments, and new people, the less likely they are to be aggressive out of fear over the new experience. Last but not least, training! Training your dog how to listen, how to behave, and to look to you as it’s leader is vital to having an obedient dog that won’t spontaneously attack. Regular training can be started within the 6 months of being born and continuing into adulthood. This reassures that the dog has consistent obedience and constant reminders who is in charge.